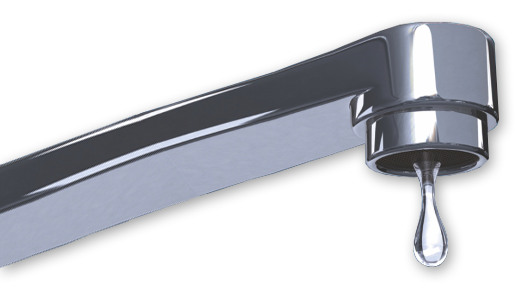 For over a decade we have been providing Brisbane with the best plumbing services available, specializing in creating custom plumbing solutions for the business or home owner, including water tank installation. 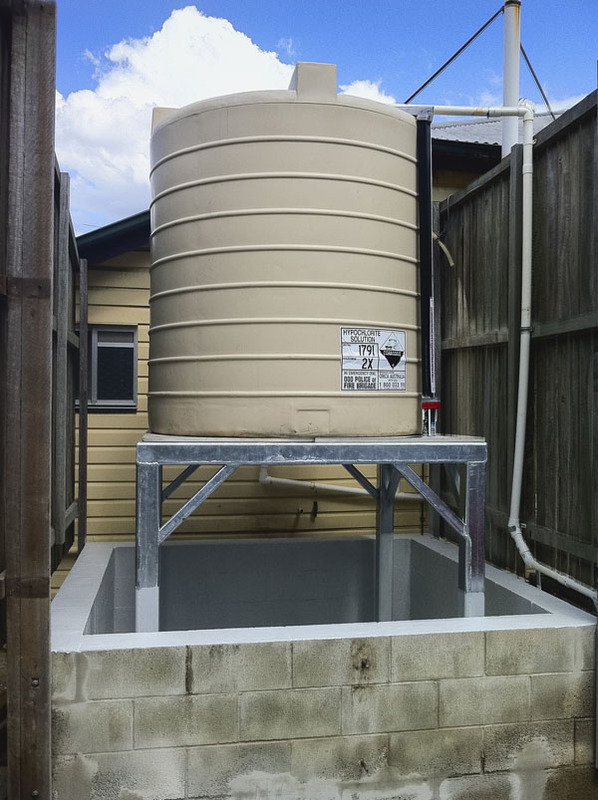 LJM Plumbing Brisbane provides specialist expertise in water tank installation and are dedicated to serving our customers plumbing needs no matter how big or small the job may be. We also provide 24 hrs a day, 7 days a week emergency services to the doorstep of your home. Our teams cover all areas within Brisbane, so no matter if you live in South or North Brisbane, one of our teams will be nearby so you can rest assured we will get to your plumbing job ASAP! 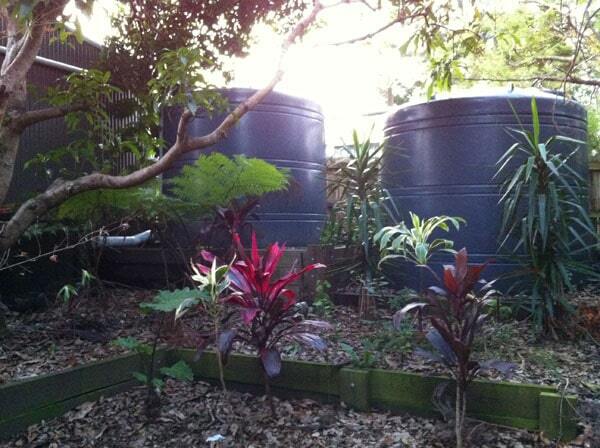 As the price of water goes up, it makes logical sense to have a rainwater tank installed. With qualified, respected plumbers in our team, we offer reliable and up to date rainwater tank installation procedures that will suit your property’s needs for a very long time. Not only will our rainwater tank specialists install your water tanks, but they will also include the installation of water pumps, water diverter kits, downpipe kits and leaf strainers that will enable your tanks be functioning efficiently and cleanly at all times. Our team of experts are qualified to handle all aspects of water management for your property. If you’re considering using mains water alongside your rainwater, we highly suggest installing a water filter in your home. As time has gone by after the mass installation of water tanks over the South East we are getting calls daily for tank servicing. To reduce the cost of repairs due to sediment left behind when rainwater settles down, our team can be relied upon to remove the the sediment from your tanks to keep them healthy! Some water tanks can bring together a layer of sludge containing dust, dirt, residue material like sand and decomposed materials. This may lead to formation of algae which can make the water in the tank to have an odour. There are a number of filters and strainers that can lead to overflowing tanks. 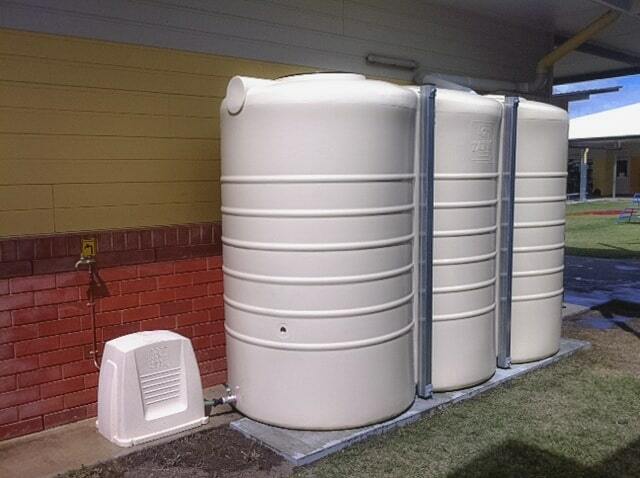 We can provide a full service of these tanks which includes a full inspection of the rain water system and a clean and service of this system. We are more than happy to inform you on site how your particular system works and general tips on how to keep these clean and function to there full capabilities. Our team of experts have the vast knowledge to ensure that clean water is supplied from your tank at all times. That’s why our technicians have constantly been engaged in the business of tank cleaning for many years as well as providing preventative solutions to minimise the need to clean the tanks. Why do you need a water tank installed in your home? 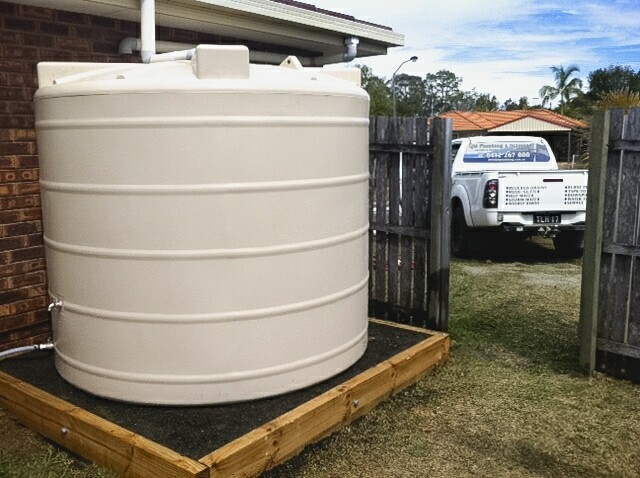 Contact the LJM Plumbing Brisbane office today to arrange a free, no obligation quote for your new rain water tank installation today!